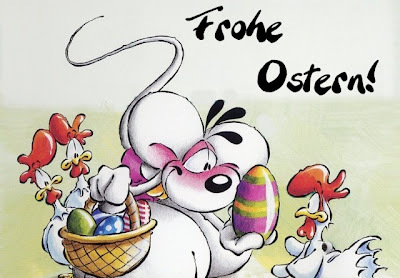 To Europe With Kids: Frohe Ostern - Happy Easter! Have you seen this character before, this giant white mouse named Diddl? 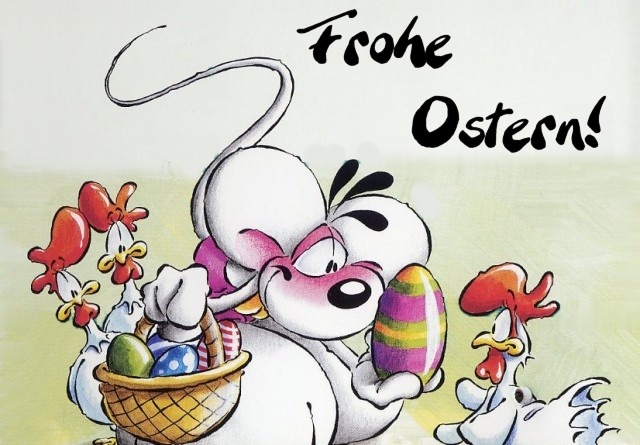 He is an extremely popular cartoon character in Germany and Austria. Diddlmania hit those countries in around 2003, and there is Diddl candy, Diddl stationary, Diddl plush toys, games, accessories, and collectibles.